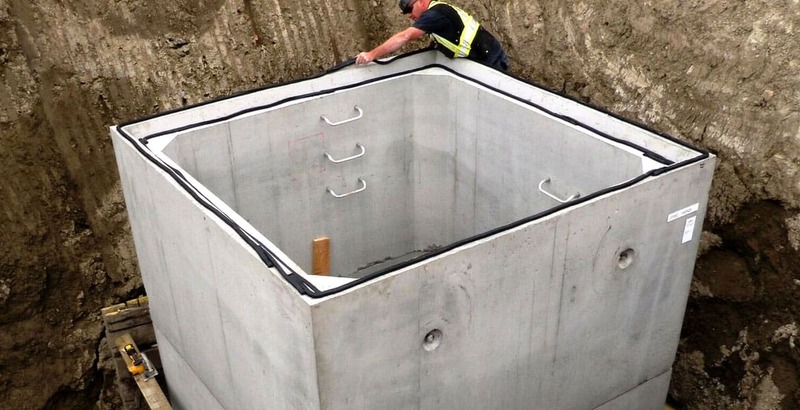 Lift Stations Edmonton | Claresholm | Tanks-A-Lot Ltd. The town of Claresholm wanted to install two additional lift stations to service a new planned 50 home and commercial subdivision. The consultant initially considered a 2400mm diameter fiberglass lift structure which presented a number of challenges. For one, the area in question had unusually high water tables which presented some buoyancy challenges. 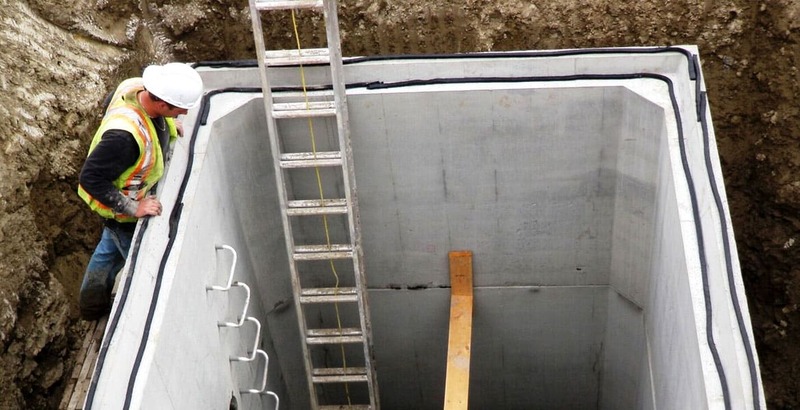 In addition, using a fiberglass product complicated site dynamics and soils management. A bigger excavation would be required and structured materials had to be hauled in for back fill and the excavated soils hauled away for disposal elsewhere which would impact negatively the overall installed cost. 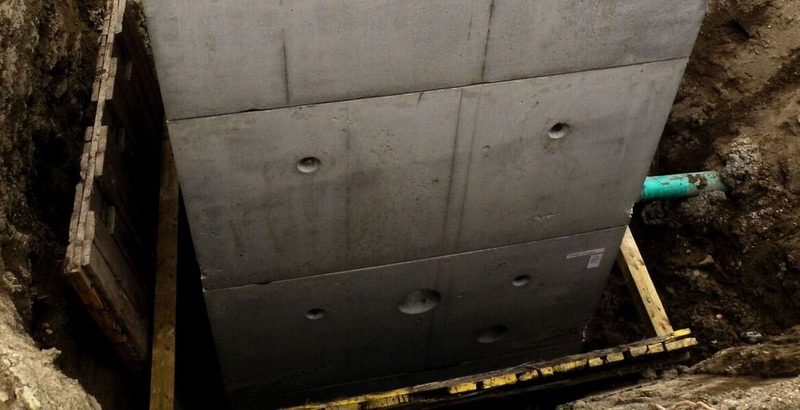 Our solution was a 2.4m x 2.4m diameter x 6.4m height square precast concrete lift station which kept the same design guidelines as the fiberglass product which had been originally spec’d. 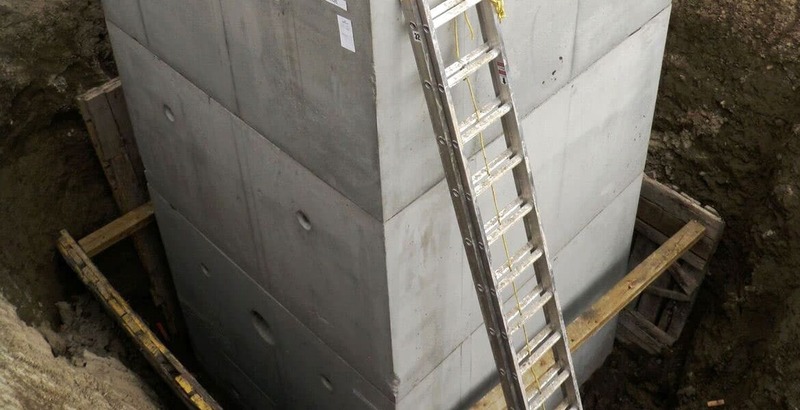 Going this route not only eliminated concerns of buoyancy as the weight of the concrete castings alone was enough to overcome any buoyancy issues. This choice also improved the site dynamics and soils management concerns as all the excavated materials remained on site and were used for back fill, eliminating the need to haul those materials away and to haul in engineered materials for back fill. All this meant that the overall installation of the project was lower by at least 30 – 40% over the fiberglass product. It took a total of 5 weeks from the time we fabricated the first piece to the time the project was complete. Onsite assembly of the lift station took less than 6 hours.